June | 2015 | What's Cooking at the Genua's? I received this recipe in my email this weekend and just had to try it out. It was originally from a Taste of Home reader from North Dakota (Crisp Cucumber Salsa) and the only thing I changed was the type of cucumber. I used the english/hothouse cucumber and didn’t peel it. The original recipe called for peeling the cucumber, which I would only do if I used a regular variety. The english style holds up better and stays firmer. I made the recipe for a couple of friends and it was a huge success. So easy and healthy as well! The original recipe called for serving immediately but I think letting it chill for a bit would be better. I will definitely be making this quite a bit this summer! A refreshing, light, crunchy salsa/relish. It would easily go on burgers, hot dogs, chicken or fish as well! I might even try using greek yogurt instead of the sour cream next time! If anyone tries it that way let me know! 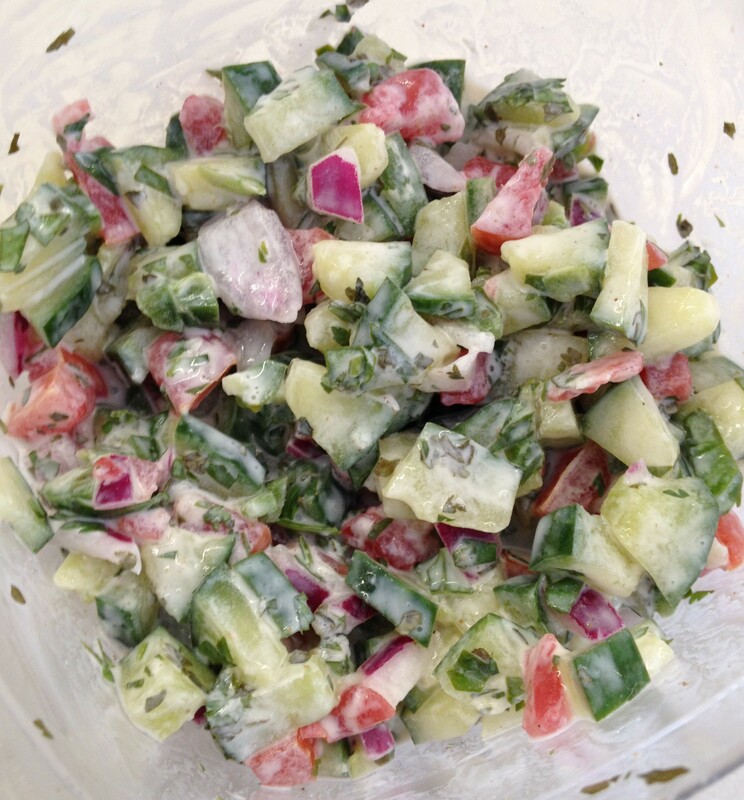 1: In a medium bowl, combine the cucumber, tomato, red onion, parsley, jalapeño pepper, cilantro and garlic. 2: in a small bowl add the sour cream, lemon juice, lime juice, cumin and seasoned salt. 3: Pour creamy mixture over the cucumber mixture and mix gently. Coating all ingredients. 4: It can be served immediately but is better chilled for about 15-30 minutes before serving. Stir before serving.